There are over 45 million people worldwide living with dementia. And for every one of those people, their carers and family are there to try and figure out the best way to care for them. 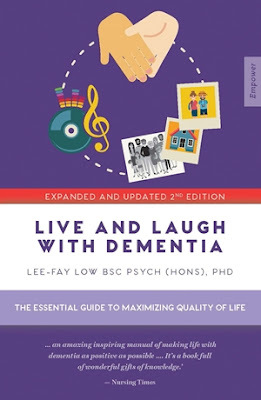 This guide is all about making living with dementia as positive as possible, and tailors activities suitable to the individual needs and abilities of dementia patients. These activities help them to maintain relationships with others including friends, family, and carers, helps to maintain their self-identity, slows the decline of mental functions by providing methods that help to stimulate them mentally and physically, helps them to experience happiness, and stave off boredom. The guide also discusses the attitudes towards dementia and offers a wide range of tips and hints that are easy to carry out.